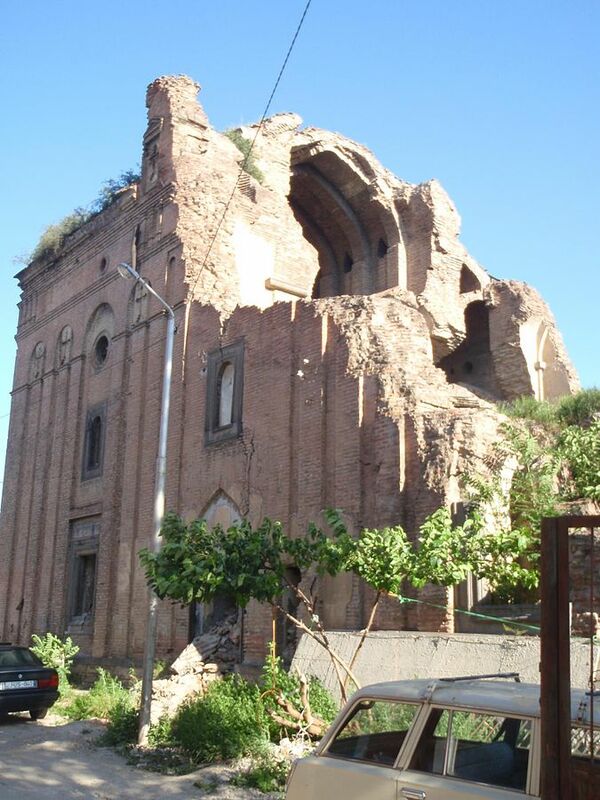 Other Armenian churches have suffered a similar fate. The church of Surb Nshan, located in Tbilisi’s old town, sits near a synagogue and the Sioni Cathedral, a famous Georgian Orthodox church dating to the 6th century. The proximity of these three different places of worship is often cited by politicians when discussing Georgia’s religious tolerance, noted Gvantsa Lomaia, another lawyer with TDI. Here too, though, the Armenian church has been denied access. 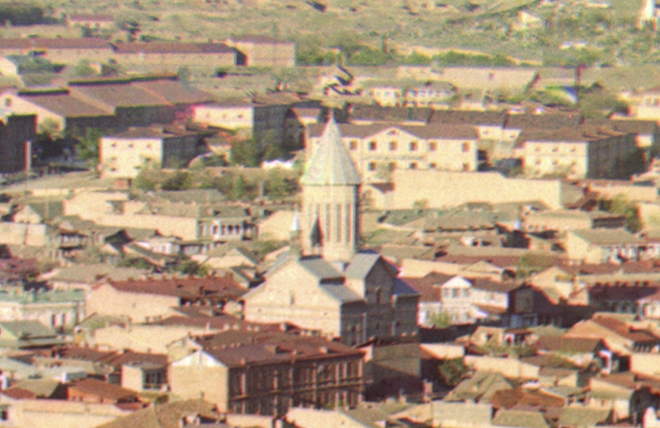 An Armenian attempt to clean the interior several years ago was halted by the Georgian church, Lomaia said. But the Georgian Patriarchate has said nothing about ongoing construction adjacent to Surb Nshan which risks damaging the building, according to Lomaia. 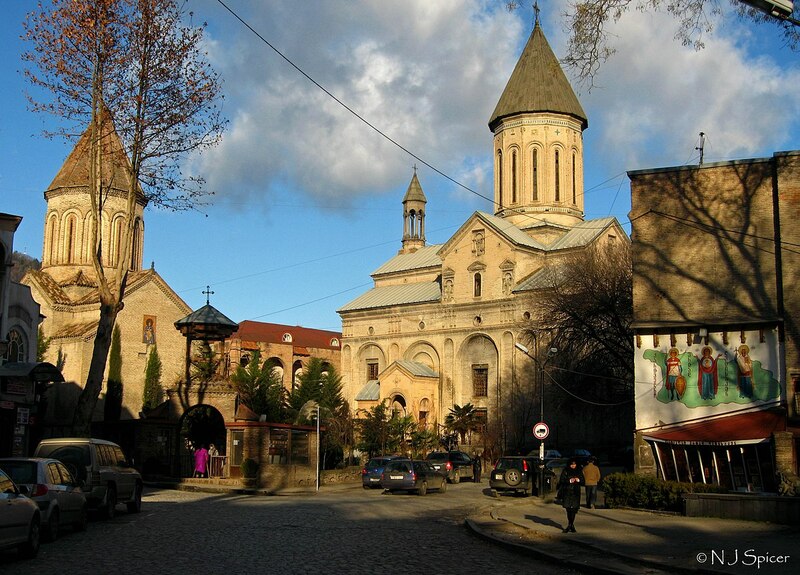 “The present state of Armenian churches in Tbilisi is shameful,” says Inna Sukiasyan, an activist and member of Tbilisi’s Armenian community. “These are cultural monuments of Georgia, and any citizen that loves their country should be ashamed,” she said. 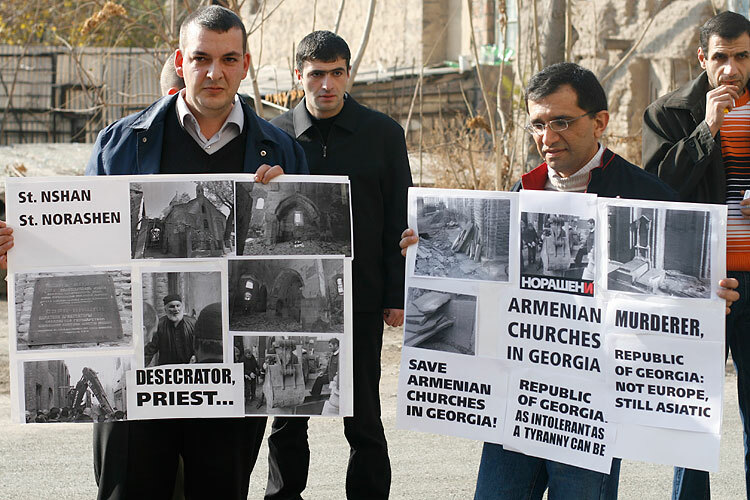 “There is interest in erasing any evidence of Armenians in Tbilisi,” Gavtadze, the TDI lawyer, said. The Georgian church has taken similar proprietary views toward other faiths, as well: It acquired all the country’s Catholic churches in the past decade, and has opposed the construction of new mosques in Tbilisi and Batumi, which have only one each. A historic mosque in the village of Mokhe, outside Tbilisi, also was also declared by the Georgian church as a historic Orthodox site, citing the appearance of Georgian writing on several stones as proof. “It is the Georgian church that claims these temples, and the state that helps them,” says Sukiasyan. Get Eurasianet in your inbox: Subscribe to our new weekly newsletter.